Whyislam.org Forums: Should Today be called "World Hunger Day"?! Topic: Should Today be called "World Hunger Day"?! It's not just bad harvests and climate change – it's also speculators that are behind record prices. And it's the planet's poorest who pay. The End of Poverty won critical acclaim at the 2008 Cannes Film Festival and is narrated by actor Martin Sheen. It is a daring, thought-provoking and very timely documentary by filmmaker Philippe Diaz. The film takes a hard look at world poverty and challenges capitalism. In a world of plenty, why are so many families around the planet still living in abject poverty? The controversial notion of “Culture of Poverty” is back, featured today in the NY Times in an article by Patricia Cohen. The piece starts with the historical roots of the debate in the work of Daniel Patrick Moynihan, who drew on the anthropologist Oscar Lewis in describing a culture of poverty among African-Americans. The NY Times article has a similar strategy – provide some big picture, and then focus on some examples. What the NY Times article does not do, but what today’s essay Free Will and Responsibility in 3 Quarks Daily does in spades, is consider how values and beliefs relate to the environment. The most effective way to control our behavior, as individuals or as a species, may be through manipulation of its determinants. We can generally modify circumstances more easily than we can modify traits. On an individual level, this could mean limiting access to things we know we can’t resist (like butter, in my case). It could also mean enlisting the help of friends or making use of other external influences, like support groups. At the collective level, we could work toward creating social conditions that promote healthy and moral behaviors. We could ban advertising for unhealthy products, and we could work toward achieving income equality. Whether we have free will or not, we certainly aren’t completely free, autonomous individuals. We influence and are influenced by our physical and social environments, often without our awareness. Collectively, we create circumstances that shape the behavior of individuals. And as individuals we can influence collective decision making and alter social conditions. [Sampson] found that growing up in areas where violence limits socializing outside the family and where parents haven’t attended college stunts verbal ability, lowering I.Q. scores by as much as six points, the equivalent of missing more than a year in school. This is a very different lesson, one that highlights socialization, people growing up, and interactions among parents and children. In short, the economist’s cost-benefit approach — itself long an important arrow in the moral philosopher’s quiver — has much to say about the effects of rising inequality. We need not reach agreement on all philosophical principles of fairness to recognize that it has imposed considerable harm across the income scale without generating significant offsetting benefits. I never know how to behave when I go to write about hungry people. I usually bring just a notebook and a pen because it seems somehow more subtle than a recorder. I drain bottled water or hide it before I get out of the car or the plane. In Ethiopia, a few years ago I was telling a funny story to some other journalists as our car pulled up near a church where we had been told people were arriving looking for food.We got out and began walking towards the place, me still telling the tale, shouting my mouth off, struggling to get to the punch line through my laughter and everybody else’s. Then there was this sound, a low rumbling thing that came to meet us. I could feel it roll across the ground and up through my boots. I stopped talking, my laughter died, I grabbed the arm of the person beside me: “What is that?” And I realized. It was the sound of children crying. There were enough children crying that — I’ll say it again — I could feel it in my boots. I was shamed by my laughter. Inside the churchyard there were tents and inside the tents children were dying. Some journalists leaned down over the mothers to talk to them, some stuck cameras inches from their faces. I stood further away when taking the photos; I sat down in the dirt to interview people. I thought I was better, but I wasn’t. I was just more conceited. I remember looking up and seeing a girl who worked at a UN aid agency crying. I motioned to her to get out — her tears as self-indulgent as my sitting in the dirt. And then we leave. Thank you, we say. Thank you for talking to me. Thank you for holding up your dying baby for my camera. And thank you for your dignity. Thank you for giving it to me. Thank you for letting me have it. I used to tell myself that it was okay because what I did was important. A UN official once excitedly phoned me at 7am to tell me the US had donated millions of dollars to his agency because someone from the government had read a story of mine in the Washington Post. Her name was Ayantu. I don’t know if her son, Hirbu, is still alive. Last weekend I was there again. The UN loaded me and some other journalists onto one of their planes in Nairobi and we flew to a tiny village near Somalia to meet people suffering from hunger, to ask them our questions, to find the sorriest tales possible. We jumped into an imperious row of white jeeps when we landed and swept into the village. Doors flew open, everybody walked very fast, everybody was very important. This is what I’ll write, I thought. Not about another Ayantu. Not again. Because it’s a cycle. African governments know that drought is coming and they don’t prepare. Foreign charities working there talk about long-term plans to help people become self-sufficient but they’ve been failing to achieve them for 20 years. It’s as much about politics and war and poor economic policies as it is about no rain. I’m no expert but I know that much. I also know it’s wrong that every few years we’re faced with an “emergency” that could have been prevented, that aid groups must frantically try to raise money to respond, that journalists need to find emaciated babies at death’s door and film and photograph and write about them before the world gives a damn. Part of me felt bad for publishing the photo of the man with the iPad. Because he was a good person doing his job. And because we are the same. He comes with an iPad, I come with a notebook. Both of us steal dignity and neither of us belong! This story has me in tears, to be honest. I can't even begin to imagine how awful it would be to see your own child starving in front of you. As mothers, we want our children to be happy and healthy. Living in a prosperous country, I have never had to watch my child go hungry. I have a healthy young boy who gets to eat good food and clean water. Alhamdulilah. I have felt guilty even at iftar eating such good foods, healthy foods knowing that people in the Horn of Africa and elsewhere are literally starving to death, watching their children starve to death in front of them. And Ramadan has made me think that as I go shopping for a new piece of clothing, I could be spending that money on food for others who are less fortunate than I am. May Allah reduce the suffering of these poor, starving people. May He guide the aid agencies and governments and others involved to handle droughts in a way that saves lives. May He reward the mothers who lost their children, in this life and most importantly the Hereafter. Ameen. In countries like the UK, in the summer time, this period of fasting extends from 3 AM to approximately 9 PM. My non-Muslim colleagues curiously ask me every year: do I really abstain from food and water for almost 18 hours every day for the entire month? The experience and the fear of the pangs of hunger, make human beings think about the fragile nature of life, and the value of food and drink. You would think the human race would naturally do their utmost not to waste food and drink, which is essential for survival, yet, despite witnessing poverty, there is huge wastage every year in the wealthy nations of the world. Apart from abstinence, Ramadan is also a time for giving and sharing. 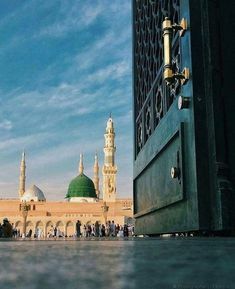 Whenever I would go to the beautiful Mosque (Masjid) in Medina or some other major Masjid with a couple of dates to break my fast, I would come back home with a bag full of food, as everyone rushing to give away something and collect the reward from their Creator. If the Muslims were in this frame of mind for the entire year, there would surely be a huge reduction in hunger.When you witness so many people walking away with more food than they brought in, it proves that when the majority are actively engaged in giving and sharing there is an abundance of food. If we amplify this model of sharing, most communities can collectively satisfy themselves; those with excess food and those with very little will balance out, and those with little requirement and those with more will also balance out; thus, the extremes of gluttony and poverty can be avoided to some extent. But, in the real world, there is famine in Africa and obesity in the western world. Despite all the technological advances, poverty has not been eliminated. Rather than a space-race, a race to eliminate poverty and disease would have been far more useful. Those fasting in Ramadan should certainly appreciate poverty, where people are forced to fast continuously; the people in Somalia today will not have an abundance of food and water waiting for them when the time approaches to break their fast. The solution to poverty suggested by Islam is to share and distribute, and the general command is to circulate wealth. There are many verses that extol the believers to donate money, not because it is a favour to the poor, but to relieve the obligation on their neck. On the Day of Judgement, it is the wealthy and rich with excess wealth that will be accounted and not the poor and destitute. The solution seems to be focused on the ‘distribution’ of the wealth rather than production of wealth; because mankind will naturally produce driven by need. The real test is: can they collectively share the wealth amongst them where people of different capabilities and needs exist? A knee-jerk response to poverty is to maximise production and accumulate; this is the doctrine of capitalism, and individuals are taught to be greedy and selfish, which dents the notion of wealth circulation. Those who have acquired wealth do not let it trickle down enough. Human greed is the age old vice, even mentioned in the ten commandments of the Bible. The proof of greed is there all around us, obesity is a problem in most wealthy nations. In contrast to hoarding, there is something magical about sharing, it binds the human family, which we appreciate less and less because living in a materialistic society, our values and our traits tells us to accumulate as much as possible, even if it means to monopolise the market and deprive others. I often wonder with amazement how large corporations with billions in their pockets would go to great lengths to deprive the small competitor. Isn’t there enough for everyone? How much can a human being consume in his life time? Why are there billionaires and millionaires? Can you really consume that much money over a life time? Even if we live for an average of 60 years, a third of that is spent sleeping. The experience of hunger through fasting should also lead to a change in attitude towards food; it should be treated with respect, not wasted needlessly. Yet, our habit is to accumulate more food than we can consume out of fear of poverty or driven by greed. The households in the UK and other wealthy western nations, including oil-rich Muslim countries waste large amounts of food every year, even through the recession. Just think, if you spent less, the excess money could be given in charity which would mean helping someone in genuine need, rather than wasted food ending up in the bin. It might be one small contribution to eliminate the food-mountains in one place, and transfer some of that to where it is scarce. In West Africa, women's resistance to the new Green Revolution shows that the question of agricultural sustainability is also a question of equality. When talking about capital most people think of money, gold, homes, and land. But there is a new and growing perspective focused on non-traditional capital, according to Dr. Katherine Marshall, a leading global development expert and senior fellow at the Berkeley Center for Religion, Peace and World Affairs at Georgetown University. In this interview, she will share her insights into the wealth that brings “spiritual” values to our society and societies around the world. How valuable is trust? What kind of world would this be if no one practiced compassion or generosity? Often when people talk about the accumulation of wealth, they invoke the phrase: “You can’t take it with you. But maybe there is a kind of wealth that does live on, generation after generation. In fact, it is the only kind of wealth that will follow us into the future. Life is built on inequality, from nature's food chain to our social structures. In order for me to be able to write this piece on my iPad, someone in China produces it under borderline humane conditions. In order for us to be able to afford our fuel gluttony, someone else across the globe bares the impact of the "necessary" strategic policies. Our whole western livelihood has unfortunately been rooted in someone else's suffering: Native Americans, Africans, Australian Aborigines and the list goes on. One of the effects of the information era is that the raw images from the bottom of the pyramid can now reach beyond our doorstep, marching right into our cozy living room. We are now obliged to confront our present and past identity guilts. This blunt confrontation induces us to prove to ourselves, and perhaps to the ones around us, that we actually do care. This need to soothe our conscience has transcended into a multi-billion dollar industry. We are consistently bombarded by commercials featuring malnourished kids, amputees and puppy seals. The guilt trade flourishes immediately after each disaster and right before the end of the fiscal year -- performing a good deed is great, getting money back for it is even better. Afterwards we forget all about it, like we do after throwing a dollar in a homeless person's cup, walking away with pride, having temporarily silenced our inner voice. No questions are asked if the donated money finally reaches what it is meant for and in what way. A few targeted changes to global trade rules could create a world where sweatshops wouldn’t have to exist. If developing countries were allowed to erect import tariffs to protect small-scale agriculture and enforce labour regulations to ensure that every working citizen earned a living wage, the sweatshop concept would be completely unnecessary. Of course, if the workers that make our shoes, clothes, and electronics were earning decent wages, that would mean that we would all pay a little bit more for our stuff, and the companies that sell it might net a little bit less. But income redistribution along these lines would hardly be a bad thing, especially given today’s historically unprecedented levels of social inequality: The wealthiest 1% of the world’s population controls 40% of the world’s wealth while the bottom 50% controls a mere 1%. The counter-argument holds that if working conditions become too humane and wages too decent in any given country companies will relocate to more welcoming states, hurting GDP and leaving the poor with fewer employment opportunities. This could be solved with an international minimum wage law (putting a floor on the race to the bottom) and a targeted trade quota system that channels foreign direct investment to where it is needed to alleviate poverty rather than to where labour is most exploitable. In addition, states can help create good jobs for their citizens by protecting local infant industries and by implementing import substitution programmes. In 1985, architect Paul Pholeros was challenged by the director of an Aboriginal-controlled health service to "stop people getting sick" in a small indigenous community in south Australia. The key insights: think beyond medicine and fix the local environment. In this sparky, interactive talk, Pholeros describes projects undertaken by Healthabitat, the organization he now runs to help reduce poverty—through practical design fixes—in Australia and beyond. Paul Pholeros is a director of Healthabitat, a longstanding effort to improve the health of indigenous people by fixing their living environment and housing.